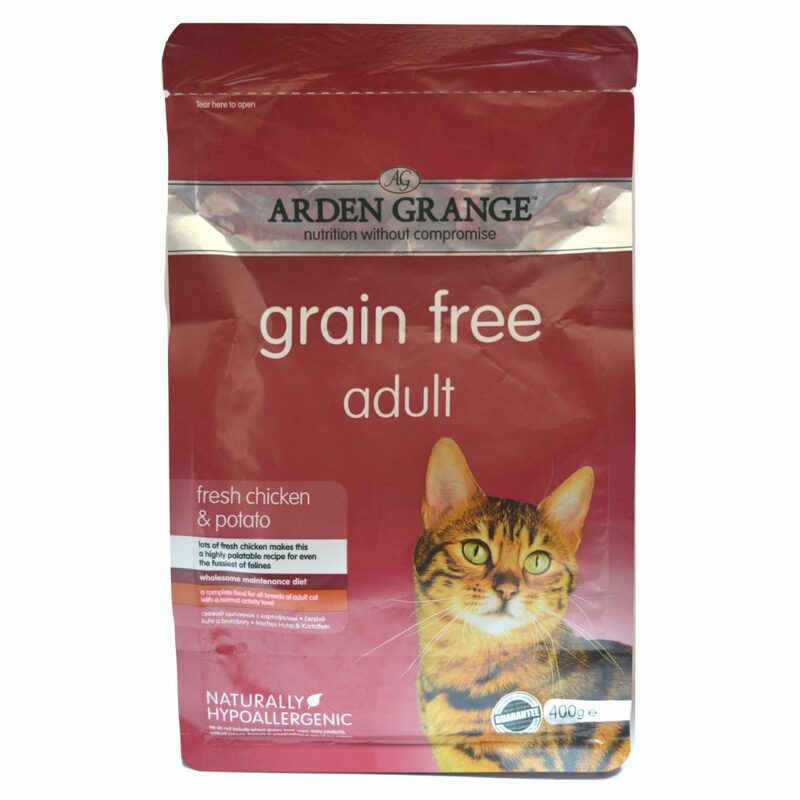 Arden Grange Adult Chicken & Potato Cat Food: Arden Grange Adult Chicken & Potato Cat Food is a complete, super premium pet food for normally active adult cats. Generous helpings of fresh chicken provide a highly digestible source of protein and a delicious meal for even the fussiest eater. This recipe is also free from grains and cereals to more closely reflect a cat’s natural diet, while providing the balanced nutrition required for our domesticated feline friends. Composition: Fresh chicken (26%), potato (26%), chicken meat meal (25%), pea starch, chicken oil, egg powder, chicken digest, salmon oil, yeast extract, malt extract, pea fibre, minerals, prebiotic FOS, prebiotic MOS, cranberry extract, glucosamine, MSM, chondroitin, nucleotides. Trace Elements: Iron sulphate monohydrate 256 mg, zinc sulphate monohydrate 222 mg, zinc chelate of amino acid hydrate 266mg, copper sulphate pentahydrate 40 mg, copper chelate of amino acid hydrate 50 mg, manganese sulphate monohydrate 93 mg, calcium iodate 2.3 mg, selenised yeast inactivated 70 mg. Antioxidants (rosemary and tocopherol-rich extracts).